Want to buy a Volvo V60 Cross Country? Autobytel.com has a wealth of automotive information online. Explore Volvo V60 Cross Country vehicles that are currently for sale or those from the past. See specifications like power figures, fuel economy, and safety ratings. Look-up the MSRP of all Volvo V60 Cross Country vehicles. Autobytel was the first company to publish these figures. If you are looking to buy a Volvo V60 Cross Country then first read consumer reviews and analysis from professional automotive journalists. Autobytel has a huge database of new and used Volvo V60 Cross Country automobiles for sale across the country. Search for automobiles by zip code to find those closest to your location. The bulk of car buyers these days get vehicle information on various websites. A purpose built website is the perfect starting point to study Volvo V60 Cross Country vehicles. For every vehicle manufactured in the past decade there is plethora of detailed material. Get an intelligent synopsis of the Volvo V60 Cross Country. See which features come stock on the vehicle at Autobytel.com. Autobytel catalogues all the tech. information on a car. This consists of figures on miles per gallon, exterior length and width, curb weight, interior cargo space and more. Maybe the most important thing you should do before you buy a Volvo V60 Cross Country is to use the vehicle configurator to see how much each available option will affect the MSRP price. Its easy to scrutinize an automobile at Autobytel. See how the Volvo V60 Cross Country vehicle fairs against its opposition. At Autobytel.com you can view multiple vehicles side by side. Another great resource available to the shopper is crash test data from both the IIHS and the NHTSA; these ratings are very important as a vehicle with a good safety rating could one day save your life. Autobytel has a huge assortment of car images available online for free. 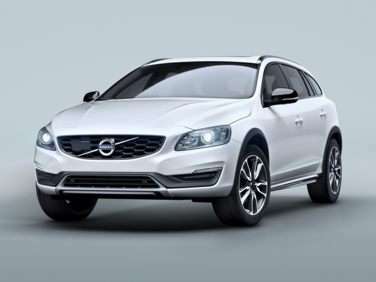 See Volvo V60 Cross Country vehicle images from various angles including front, rear, and side. By browsing lots of auto images you can find a vehicle that is desirable. Most consumers try to find an automobile that they feel is attractive. That way when you visit the car dealer lot to buy a Volvo V60 Cross Country; you won’t be taken by surprise if there is an unattractive feature. Another great feature at the Autobytel site is the section containing car reviews. Read reviews for Volvo V60 Cross Country autos from everyday consumers. There is also analysis from experts in the car field. Besides plenty of information; you can get a list of current incentives on Volvo V60 Cross Country vehicles. There are two types of incentives. The first is a rebate, which is an amount taken directly off the MSRP. The second is a special APR financing rate. Finally see the available inventory of Volvo V60 Cross Country automobiles for sale in your area. Make sure to check the listings of vehicles online at Autobytel before you buy a Volvo V60 Cross Country. Shopping for a good deal can save you money in the end.